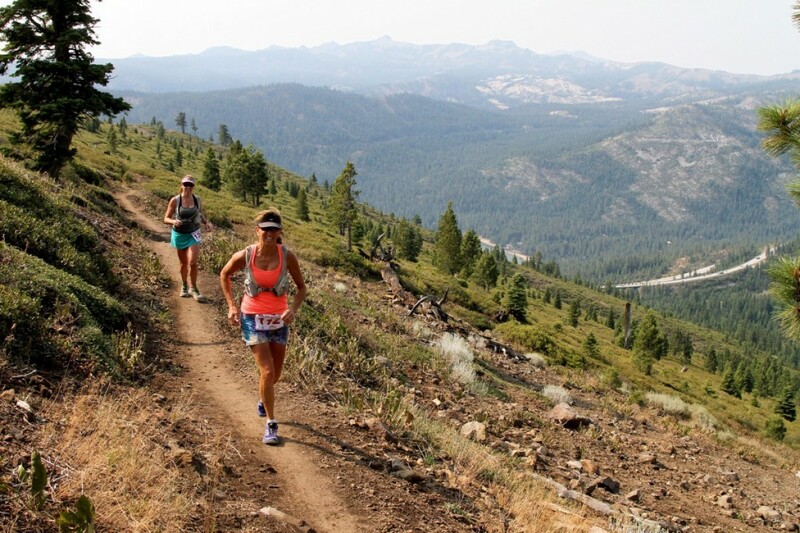 The Sierra Crest 10/30/50 is an exciting point-to-point trail run that takes advantage of some of the Truckee/Donner Summit region's best single track. The courses offer scenic views of some of the Northern Sierra's most stunning terrain, including the Euer Valley, Frog Lake Cliffs, Castle Peak, and other incredible peaks of the Sierra Crest. The 30 and 50k courses take advantage of Tahoe Donner's extensive trail system, the Auburn Ski Club trails, as well as the Donner Lake Rim Trail as they literally cross the crest of the Sierra Nevada Mountains. Starting at Tahoe Donner's new Cross Country Center, and finishing at Auburn Ski Club Training Center, at the western terminus of the Boreal Mountain Resort's parking area, these point-to-point runs offer a challenging, but manageable route across the crest. Shuttles ($15 per person) from ASC to Tahoe Donner keep the logistics easy and allow racers to focus on their running. Don't miss out on the inaugural year of what is sure to become a classic event!